Virus Bulletin, a respected testing authority for security solutions, published its latest ‘VB100 Comparative Review on Windows Server 2008 R2’ report. ESET submitted the ESET Endpoint Antivirus to the test and once again passed the test with excellent results, receiving its 73rd consecutive VB100 award. In total, ESET has received its 94th VB100 Awards. 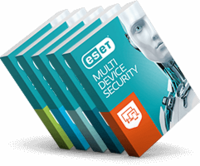 “ESET Endpoint Antivirus provides companies with comprehensive endpoint protection based on proven ESET technology. Moreover, with next-generation business solution we are focusing on performance and false positives, and it is always good to see this confirmed by an independent tests such as VB100 Comparative Review,” reminds Michal Jankech, Product Manager for Business products.